摘要 目的对2015—2016年菏泽市流行性乙型脑炎（简称乙脑）疫情监测情况进行分析研究，初步评价该市乙脑诊治和防控工作进展，为乙脑诊治和防控工作提供科学依据。方法根据2015—2016年菏泽市乙脑专病管理系统资料、流行病学个案调查资料和实验室诊断资料进行分析研究。结果2015—2016年菏泽市共报告乙脑诊断病例15例，发病率分别为0．021／10万、0．138／10万，2016年比2015年发病明显上升。15例乙脑病例分布在7县区15个乡镇（办事处）的15个行政村（社区），高度散发。病例及时调查率和及时随访率皆为100．00％；标本总采集率为93．33％，标本IgM总阳性率为100．00％，其中脑脊液标本采集率为73．33％，阳性率为100．00％，血清标本采集率为93．33％，阳性率为100．00％；病例实验室确诊率为93．33％。结论该市乙脑诊治和防控工作仍有不足之处。建议仍应加强乙脑监测和乙脑疫苗接种工作，乙脑诊治和防控工作仍需努力。 Objective To analysis the surveillance situation of epidemic encephalitis B from 2015 to 2016 in Heze city. Preliminary evaluating the work progress of treatment and control of epidemic encephalitis B of Heze city. 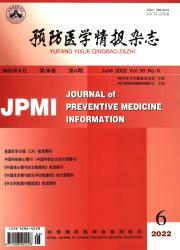 Providing scientific basis for treatment and control of Epidemic encephalitis B. Methods The date for analysis was based on epidemic encephalitis B management system in Heze city during 2015 to 2016, epidemiological case study and laboratory diagnosis. Results Total of 15 epidemic encephalitis B cases was reported to 2016. The incidence of epidemic encephalitis B from 2015 to 2016 was 0. 021/10^5, 0. 138/10^5 during 2015 respectively and showed creasing trend. 15 epidemic encephalitis B cases were distributed in 15 administrative villages of 15 towns among 7 counties in Heze city, and was highly distributed state. The case timely investigation rate and timely follow-up rate were both 100% ; The collected rate of eerebrospinal fluid specimens and IgM positive rate of eerebrospinal fluid was 73.33%, 100. 00% positively; the collected rate of serum samples and IgM positive rate of serum was 93.33 %, 100. 00% positively ; laboratory diagnosis rate was 93.33 %. Conclusion Work of treatment and control of epidemic encephalitis B of Heze city still has shortcomings. Vaccination and monitoring of epidemic encephalitis B still should be strengthened and efforts are still needed for treatment and control of epidemic encephalitis B.